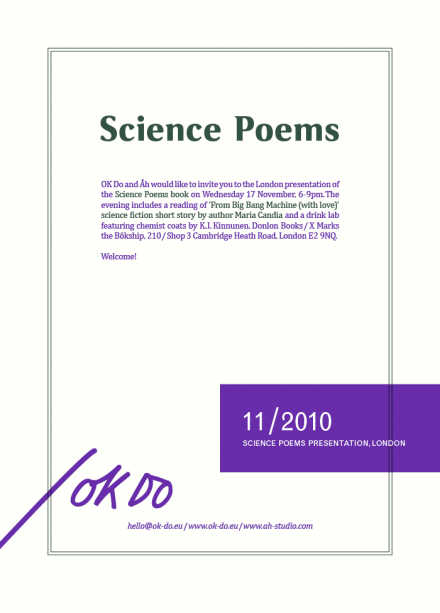 OK Do and Åh invites you to the Lon­don present­a­tion of the Sci­ence Poems book at Don­lon Books. The even­ing includes a read­ing of ›From Big Bang Machine (with love)‹ sci­ence fic­tion short story by author Maria Can­dia and a drink lab fea­tur­ing chem­ist coats by K.I. Kin­nun­en.